Foreign Bank Account Regulations IV: TD F 90-221 Is Now Form FinCEN 114! 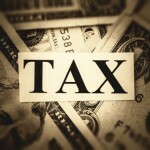 | TaxConnections is a where to find leading tax experts and tax resources worldwide. Foreign Bank Account Regulations IV: TD F 90-221 Is Now Form FinCEN 114! As a reader of my posts on TaxConnections blog, you probably know by now that if you have a financial interest in or signature authority over a foreign financial account, exceeding $10,000 at any time during the calendar year, the Bank Secrecy Act requires you to report the account to the Internal Revenue Service. On September 30th, 2013, the Financial Crimes Enforcement Network (FinCEN) made a very important change to the FBAR form which will effect its filing for 2014. • The taxpayer has to go on the website to create an account on the BSA E-Filing System. • Or the taxpayer can designate their EA, CPA or attorney to file on the BSA website on their behalf. • An Enrolled Agent, CPA or Attorney can become a designated third-party filer. • The EA, CPA or attorney must make sure they have documented authority from the tax payers required to file to sign and submit FBARs on their behalf through the BSA E-Filing System. • If such authority has been provided, the EA, CPA or can file the FBARs through the single BSA account established for them. Manasa – this was a very succinct and helpful. Thanks…. Thank you Virginia-for stopping by my blog post & for your encouragement!